A renowned business strategist and innovator, Nilofer Merchant is on a mission to reinvent work so that it actually works. 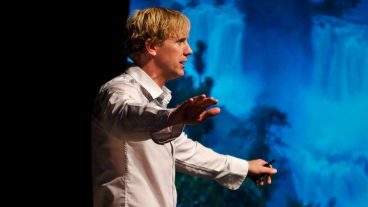 The bestselling author and recipient of the “Future Thinker” Award from Thinkers 50 recently spoke at TEDxUniversityofNevada on the downfall of modern society — ignoring those who lack power and status. At least 50% and as much as 70% of new ideas are ignored. Not because they are bad, but because the originator was deemed unworthy — they lack power, they are of the minority, they are young, etc. But Nilofer argues that it’s what makes us different that gives us power, and that few companies will survive unless they understand what she calls “onlyness” — the experience, talent, perspective, and purpose lying untapped in the workforce. In the video below, Nilofer explores her concept of “onlyness” and how we can find power in the place where only we stand, and help others do the same. Through her impactful talks, Nilofer Merchant reveals new ways of connecting our ideas to the world, and empowers leaders to unlock the vast source of innovation too often overlooked in their own people. Interested in learning more about Nilofer and what she can bring to your next event? Email us at info@speakers.ca.